Dr. Parsons grew up in a very physically active family in rural Iowa. From an early age his parents also instilled in him the importance of nutrition, being members of the local food co-op, growing many of their own vegetables and raising their own beef cattle. Several injuries in his early childhood made him feel that he, as an adult, wanted to have a profession that contributed to the health of others. Due to his athletic interests he began weight training at the age of 13 and quickly realized the ability of this activity to improve his performance in other endeavors. While obtaining his degree at the University of Northern Iowa he began playing rugby and started developing strength and conditioning programs for both himself and his teammates. Dr. Parsons moved to Colorado after graduating and continued playing rugby for the Denver Barbarians. During this time he began medical school and started to consciously realize that fitness and diet are central not just to performance, but to maintaining good health. Dr. Parsons has continued to hone his own personal fitness and dietary regimen throughout his life. He has obtained his certification as a strength and conditioning coach with the National Strength and Conditioning Association to expand his knowledge base and tool-set to better assist himself and his patients in their fitness programming and injury recovery. 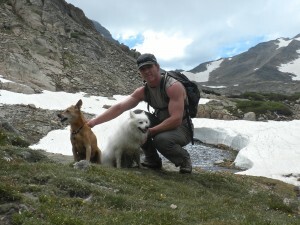 Following residency, Dr. Parsons became board certified with the American Board of Family Medicine and began to fine-tune his medical skills while working as an emergency room physician in Brush, Colorado. Desiring employment closer to home, he left this position after two years and began to work in urgent care centers in the Denver metro area. These experiences equipped him well to diagnose and treat a wide variety of both acute and chronic medical conditions. While Dr. Parsons recognizes that modern medicines have their place in healthcare, he believes that lifestyle is the primary means to maintaining good physical and mental health, and that activity patterns and dietary measures are paramount to this. Because of these facts, he eventually opened his own small practice, Revolution Healthcare, in order to focus more on this style of medicine. Dr. Parsons has had the opportunity to work with patients in a wide degree of settings and walks of life. This has included work as a team physician for the USA Rugby Women’s National Team, with athletes at the 2014 Lacrosse World Cup, and with local high school football programs. He has developed successful strength and conditioning programs for professional, collegiate, and recreational athletes. His goal is to provide each patient with individualized, comprehensive care while focusing on health promotion, disease prevention, and injury prevention and recovery through lifestyle measures.